Abnormalities of sleep are extremely common in critically ill patients, but the mechanisms are poorly understood. About half of total sleep time occurs during the daytime, and circadian rhythm is markedly diminished or lost. Judgments based on inspection consistently overestimate sleep time and do not detect sleep disruption. Accordingly, reliable polygraphic recordings are needed to measure sleep quantity and quality in critically ill patients. 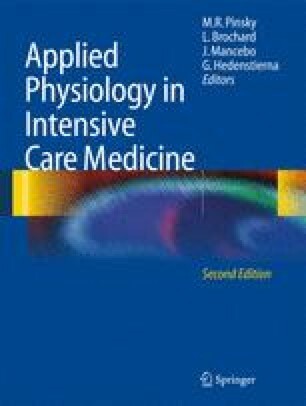 Critically ill patients exhibit more frequent arousals and awakenings than is normal, and decreases in rapid eye movement and slow wave sleep. The degree of sleep fragmentation is at least equivalent to that seen in patients with obstructive sleep apnea. About 20% of arousals and awakenings are related to noise, 10% are related to patient care activities, and the cause for the remainder is not known; severity of underlying disease is likely an important factor. Mechanical ventilation can cause sleep disruption, but the precise mechanism has not been defined. Sleep disruption can induce sympathetic activation and elevation of blood pressure, which may contribute to patient morbidity. In healthy subjects, sleep deprivation can decrease immune function and promote negative nitrogen balance. Measures to improve the quantity and quality of sleep in critically ill patients include careful attention to mode of mechanical ventilation, decreasing noise, and sedative agents (although the latter are double-edged swords).